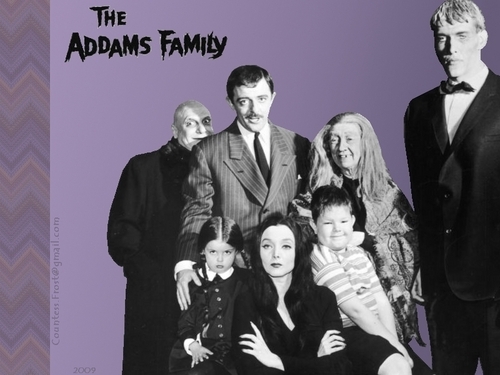 The Addams Family (2a). Addams Family Hintergrund created Von TheCountess for the classic 60's TV Zeigen starring Carolyn Jones, John Astin, Ted Cassidy, etc.. HD Wallpaper and background images in the Addams Family club tagged: the addams family morticia carolyn jones gomez john astin tv show 60's fan art wallpaper thecountess. This Addams Family wallpaper might contain geschäftsanzug, business-anzug, gut gekleidete person, anzug, hosenanzug, and pantsuit. This is great, I love Grandmama's toothless grin! lol! Thanks! You had me snickering at that!